Being released from prison after 27 years of incarceration seems like a wonderful thing. For some, life in the outside world is darker than prison. Half of all released prisoners are back behind bars within five years, according to the Louisiana Department of Corrections. Greg Bright of New Orleans and Ashanti Witherspoon of Baker avoided the return. Each spent more than a quarter of a century in prison. The two men faced different circumstances upon release from Angola, the nation’s largest maximum-security prison. Bright, a wrongfully convicted murderer, was released June 23, 2003. He stepped back into society with a $10 check and a bag of clothes. The transition into society was rocky, at best. Bright moved in with his niece in Mississippi where he attempted to adjust to life outside the confines of Angola. Bright then moved to the front lawn and, eventually, out into public. The property owner of his niece’s home heard his story and felt a need to help. Bright went to work for him in a restaurant, but even that had shortcomings. Bright left the restaurant and Mississippi behind to return to New Orleans, where he worked with horses in the stables at Audubon Park, similar to a job he once held while incarcerated. The move to New Orleans also brought with it a 1993 Nissan Stanza. Life outside of Angola brought new experiences. Bright still has not received the $150,000 he is owed by the state for compensation for wrongful imprisonment. In 2005, Louisiana passed a law mandating that the state pay the wrongfully convicted $15,000 for every year they were incarcerated, capped at $150,000. Bright has yet to see a penny. “There are two things that people find to be the hardest. That’s admitting they’re wrong and giving away money, and you’re asking them to do both,” said Tom Lowenstein, policy director for the Innocence Project New Orleans. Ashanti Witherspoon has asked for neither. He merely asked for a second chance at life. Witherspoon, convicted of armed robbery in 1972, had a relatively smooth transition after his 1999 parole. While in prison, a friend advised him to start preparing for his eventual release, whenever that would be. He spent the last several years of his time in Angola traveling with teams from the prison to various outside educational events. He spoke at schools and churches, encouraging kids to stay away from lives of crime, and he taught CPR instructor classes. Witherspoon spent, on average, 17 days a month outside of prison. After his release, he stayed a year with his mother in Chicago before receiving a $65,000 fellowship from the Soros Foundation. 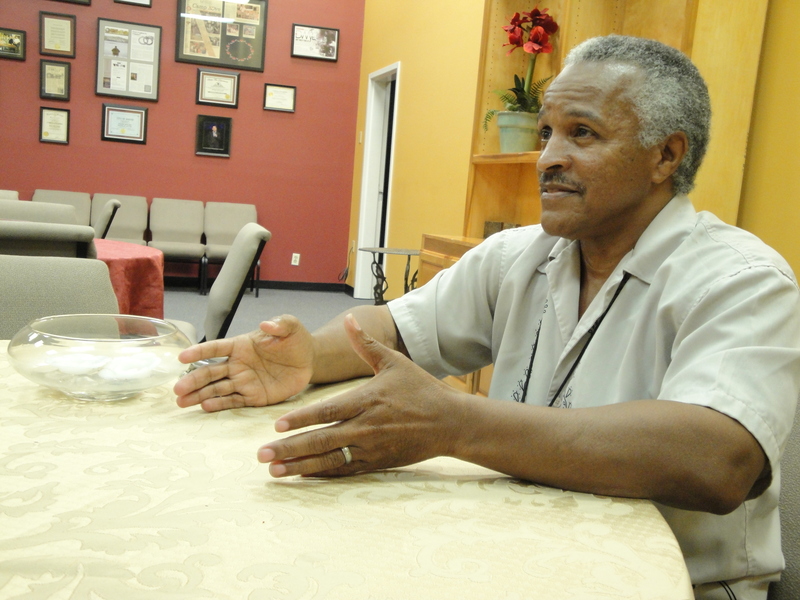 The grant allowed him to continue the community work he began when he was in prison without having to maintain a regular job. Witherspoon moved to Baton Rouge in 2000 where he became active in the community. He is currently an associate pastor at Miracle Place Church in Baker, a motivational speaker and works at substance-abuse houses. When the sun began to set at night, he was overcome with a sense of apprehension. “If you were in prison and you felt this feeling, it meant that something was about to happen,” he said.